What is the difference between a podcast and internet radio? There are 155 million Americans who engage monthly in what is known as ‘internet radio’ or streaming audio. Podcasting reaches about 57 million listeners in the U.S. By creating your stream, you are broadcasting your content to a wider audience already engaged in streaming audio. When you use Podcast2Radio, you actively engage in ‘smart stream’ technology, which uses streaming servers and software to migrate content over the internet for consistent performance and high quality. This can be confusing when we also see the word ‘stream’ used in podcast platforms (like PocketCasts) referring to the delivery of a podcast without downloading the content. In this case, the stream is actually a ‘progressive download’ that the listener plays without downloading the content onto a desktop’s hard drive or device. 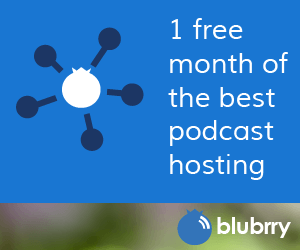 Why should you get a smart stream for your podcast? The advantage of creating a smart stream is the ability to create a 24/7 experience of widely distributed content. However, unlike podcasting or on-demand content, a stream cannot be controlled or manipulated by the user. More in the style of terrestrial radio, a stream or internet radio is scheduled content that everyone is listening to, together, regardless of time zones. There are advantages to both types of delivery, creating a lean in (on-demand) and lean-back (streaming) experience for your listeners. You can encourage listeners to check out your stream when they are traveling in their car and let them avoid having to choose episodes and shows. Reference your podcast’s name, hosts and subtitles often so that someone opting into your stream mid-show can find out who you are and how they might subscribe to the on-demand option of your podcasts in iTunes or Stitcher.